Contains 88 % (w/w) aluminium ammonium sulphate. Packed in professional sizes of 5 x 500 g powder or 5 litre Liquid. 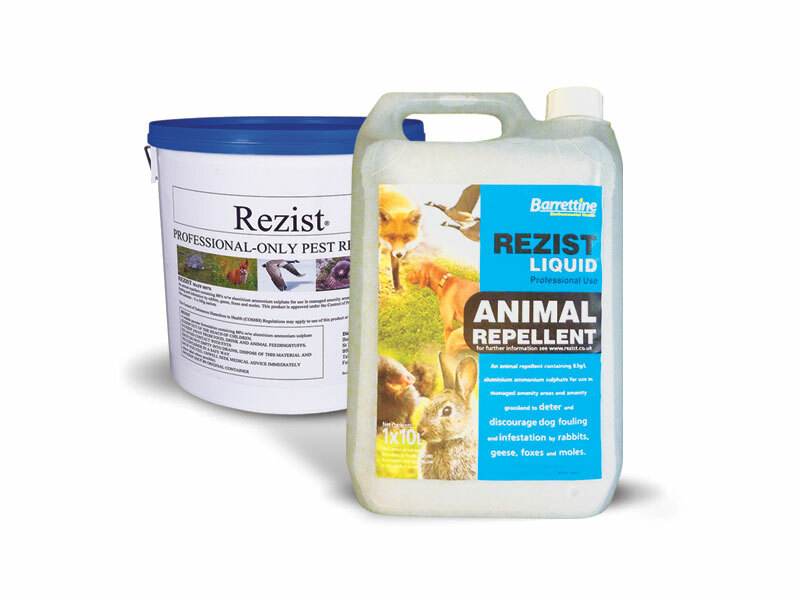 Rezist has additional clearance against: Canada geese; Dog Fouling; Moles; Rabbits and Foxes. Also has approval for spraying hard surfaces and amenity turf. Users need a PA1 & PA6 Licence.